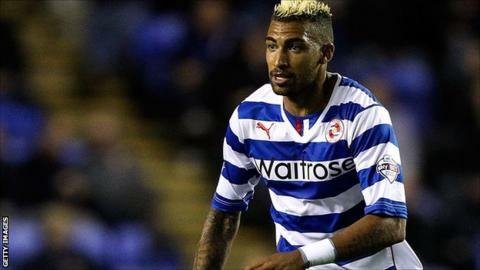 Reading midfielder Danny Williams says he is ready to "fight" for the team after overcoming the most frustrating period of his career. Williams, 25, suffered a knee injury at the end of April which resulted in him missing the end of the season as well as the summer's World Cup in Brazil. But the United States international has returned to fitness and is determined to put the frustrating behind him. "I'm positive and ready," Williams told BBC Radio Berkshire. "It's been a frustrating three months. "It was more frustrating when I heard the news I had to have surgery because I missed the World Cup. I've left that behind me now, I'm looking forward to helping the team, we still have a lot of games and I want to help the team get in the play offs." Danny Williams was born in the German city of Karlsruhe, to an American father serving in the US military and a German mother. He began his career with local club Karlsruhe before joining Freiburg, and then later joined Hoffenheim. He played three games for Germany's Under-15 side but opted to play his senior football for the United States, with his debut against Honduras in October 2011. Williams arrived at the club from Hoffenheim in June 2013 and made 32 appearances for the club last season before April's injury struck. Rehabilitation has been "hard work", with long hours in the gym away from the camaraderie of first-team training sessions. "When you are injured it's the worst part," he said. "You have exactly the same hours as working in an office. You have to come in early and leave later. It's frustrating and hard work, I know people don't see that." "We had a bad spell, now we have to be confident enough to know we can beat anyone in this division," added the Germany-born player. "We have strikers with huge potential, if you don't concede you at least draw and that is what we have to focus on because we've conceded too many goals. "I'm itching. Everyone that knows me knows I love football, I love to be on the pitch when the fans are screaming and shouting, it gives me an extra 10 or 20%. "I love being on the pitch, fighting for my team mates, the whole club and I feel like a new signing."